However, there are more pins for parallel communications. The method 2 will not be used. I have found some type of PIC micro controler which has 3.3V signal voltage level. For I2C communication, some PIC can use external pull up resistors to interface a 5V signal voltage level. 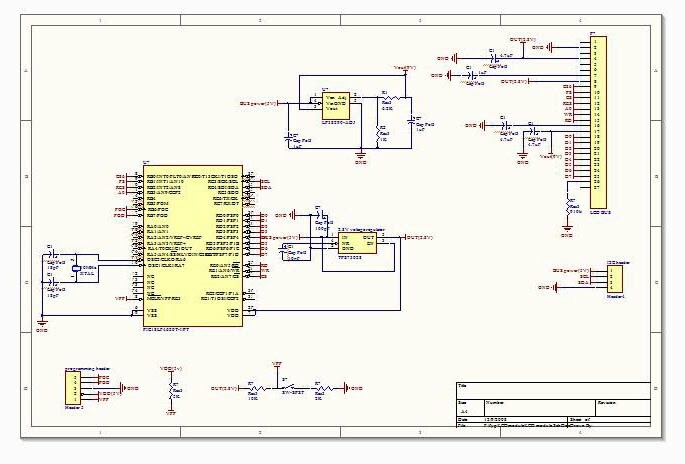 For an univerisal I2C voltage interface solution we can refer to Philips Semiconductor application note AN97055. Due to the similarity of graphic LCD interface, I also created a general schematic circuit diagram which will be finalized when the LCD module is selected.